I must admit, I wasn’t really sold on this whole velvet trend at first, but I give in. From home decor to a full on suit, velvet is everywhere and there are some seriously good pieces available. Velvet just screams luxury! I absolutely adore these picks and hope to be in great shape after my baby comes so i can wear one of those velvet body suits! Velvet is my favorite thing right now!!! I've been loving velvet everything lately. those heels are killer! omg velvet everything! those shoes are major! Those pink heels are EVERYTHING and I love that jumpsuit! Velvet definitely has my heart. 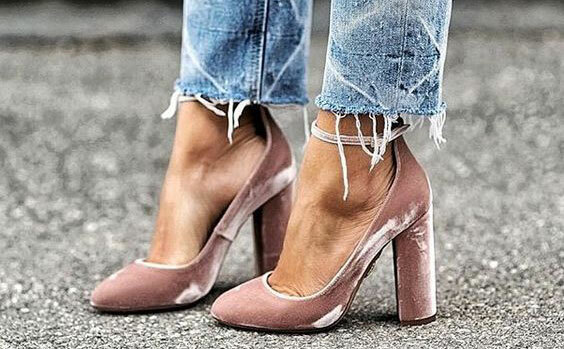 I hadn't really thought about getting velvet shoes, but I love the ones you have chosen! I am obsessed with velvet! I just bought a dress and I'm super excited to style it! I am so on board with the velvet trend too this season! I have those pink/gold sandals and LOVE them! 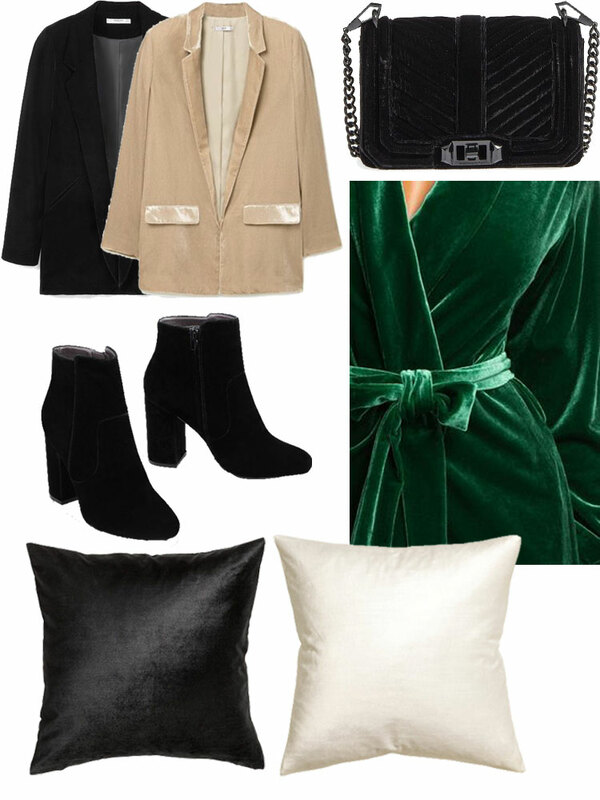 I wasn't sure about the velvet trend either and now I'm obsessed with it too! So many good picks! I recently got velvet pillows & shoes and I can't get enough! I loooove velvet! I am majorly sold on this trend. Love the pieces you rounded up! I'm loving the velvet trend so much!! Your picks are so classic and pretty! I'm totally crushing on everything velvet this season too! !